Tavis Smiley Says He's Not an Obama Critic. Really? Your Black World founder Dr. Boyce Watkins writes in a blog entry that until now, Tavis Smiley's actions have defined him as a leading critic of President Barack Obama and, until recently, a textbook haterologist, which is not a good move. 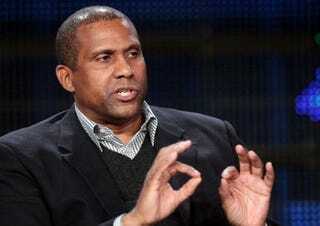 In a recent interview, Tavis Smiley took issue with being described as a critic of President Barack Obama. Smiley made it clear that he is not a critic of the president, since he has never criticized him personally. "Your facts are wrong because I have never leveled a personal critique against the president ever. I’ve never said anything personal about Barack Obama," Tavis said to TheGrio.com. "I detest when people suggest that I'm an Obama critic. I'm a member of the media and my job like yours — if you're doing it well — is to hold the president accountable. That doesn't make me a critic," he said. Most of the Your Black World writing team couldn't hold back the laughter when Smiley made his statement. Perhaps I risk being considered a Tavis Smiley critic for saying this, but a critique does not need to be personal for you to become a critic. Movie critics don't usually make personal critiques of the director, food critics don’t make personal remarks about the chef, the list goes on and on. In fact, being a critic is not always a bad thing — it's being a "haterologist" that gets you into trouble.